How much time does your business spend preparing critical documents? This is a common time-waster for nearly every department, from sales to HR to legal. But document automation technology could cut down on this lost time and enable your business to become more productive. 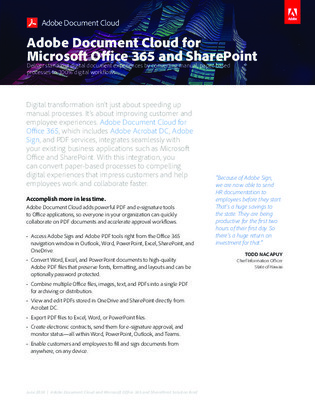 Explore how Adobe Document Cloud for Office 365 can speed up your business and cut down on how much time employees spend on menial tasks.